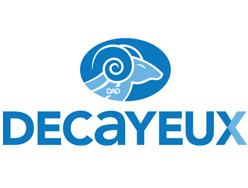 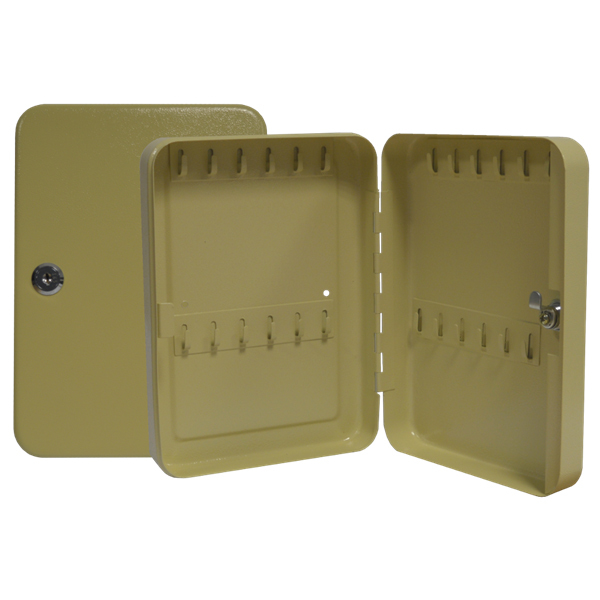 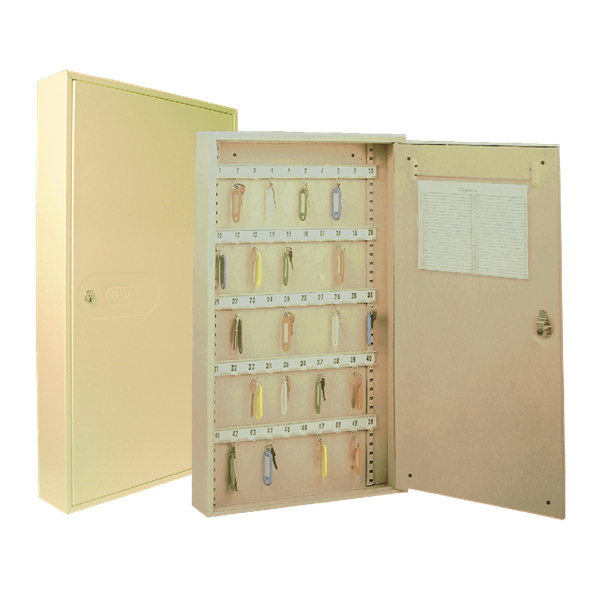 Decayeux key cabinets supplied with a Hammered powder coated pressed steel finish that gives this key cabinet durability, good security levels and not too bad to look at! 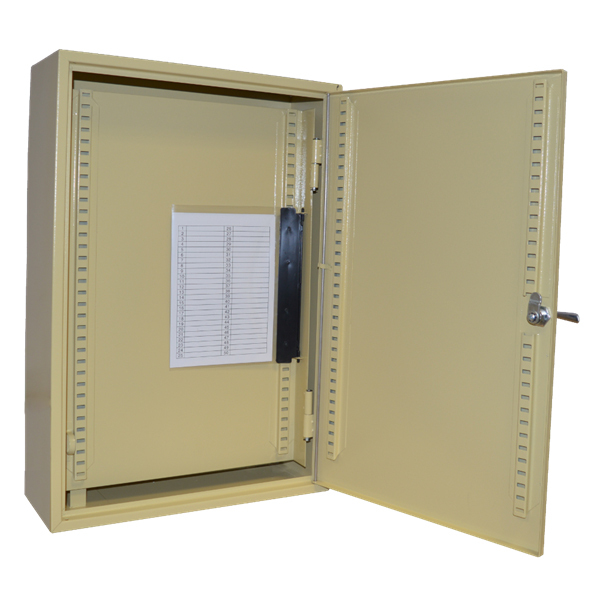 The 486 range of key cabinets is supplied with key tags, key hook numbers and reference chart to easy catalogue and store keys, the key racks and hooks are also fully adjustable. 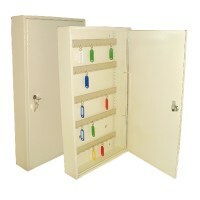 Locked with security cylinder supplied with 2 keys. 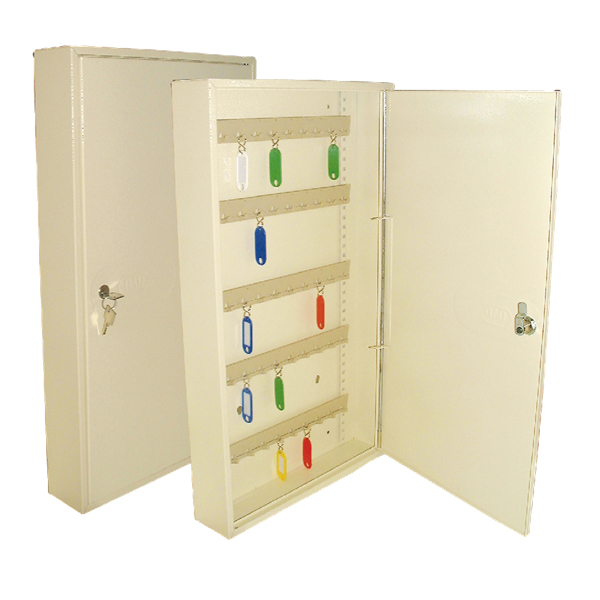 Key tags, key hook number and reference chart supplied along with adjustable keys racks. Can be wall fitted. 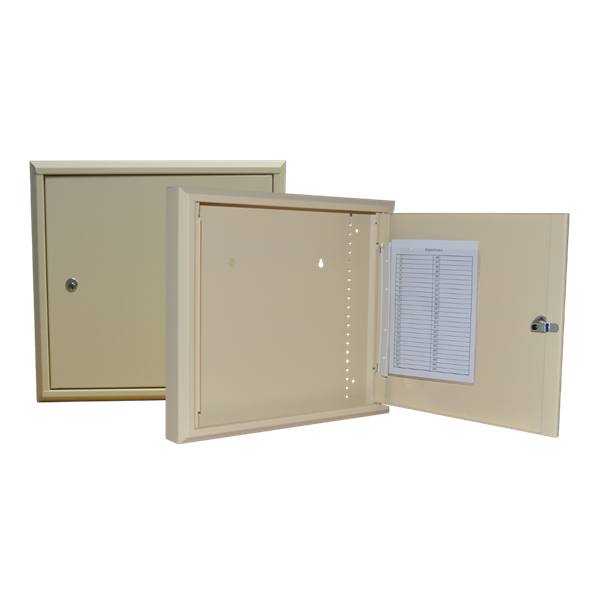 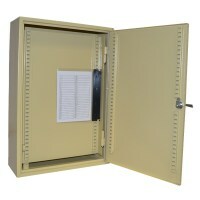 Supplied in cream with a hammered finish pressed steel and powder coated.